Cabot Hosiery Mills, a textiles manufacturer located in Northfield, VT, ramps up its sock production and prepares to hire new workers, VTDigger reports. 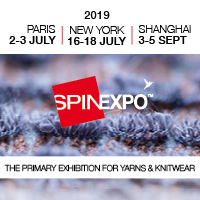 Forty-six new Italian knitting machines will be installed this winter and will increase production at the 40-year-old family business by 1.5 million pairs of socks, according to Ric Cabot, the company’s President and CEO. Cabot Hosiery Mills is home to Darn Tough, the company that has grown up over the last 15 years after the mill almost went bankrupt in 2003. The owners switched in 2004 to making specialised, high-end specialty socks for hiking, biking, skiing and other sports. Darn Tough now occupies three buildings in Northfield, and Cabot said he’s thinking of adding an office building next fall. A few of the new knitting machines arrived over the summer. Manufacturing is one of the largest sectors of employment in Vermont, providing around 11% of state GDP, according to the state Department of Economic Development. If Cabot Hosiery does hire new workers as planned, the company will benefit from the state’s Vermont Employment Growth Incentive Program, or VEGI, which in 2015 authorised up to US$ 1.3 million in payments to the company through 2023 if it meets the payroll and employment targets outlined in its VEGI application. “What happens in such a tight labour market is we do hear about difficulties in hiring, but of course the preferred employers, the ones who are training their employees and paying benefits, will have an easier time,” said Joan Goldstein, Vermont’s commissioner of economic development. To qualify for VEGI, the company’s new jobs must pay 160% of the minimum wage and include benefits such as medical coverage. Cabot Hosiery Mills has grown steadily since it introduced Darn Tough. In 2007, it produced 2.4 million pairs of socks. Cabot increased sales by landing military contracts for the US$ 20 socks and by making an early move to position the company as a family business in small-town Vermont well before it became common for customers to seek ways to relate to the origin of the products they purchased. In 2004, “I talked about things to the market that they wouldn’t even know how to talk about – about the little town of Northfield, of our heritage, of being here since 1978, about three generations, about expertise, passion, about people coming to work here in three feet of snow, and peoples’ commitment,” Cabot said. “The market really wasn’t as story or content-driven as it is now,” he said. “We were doing that before anybody was doing it.” He added that he thinks the company has gained a following through its promise to replace any sock that gets a hole in it, free of charge.